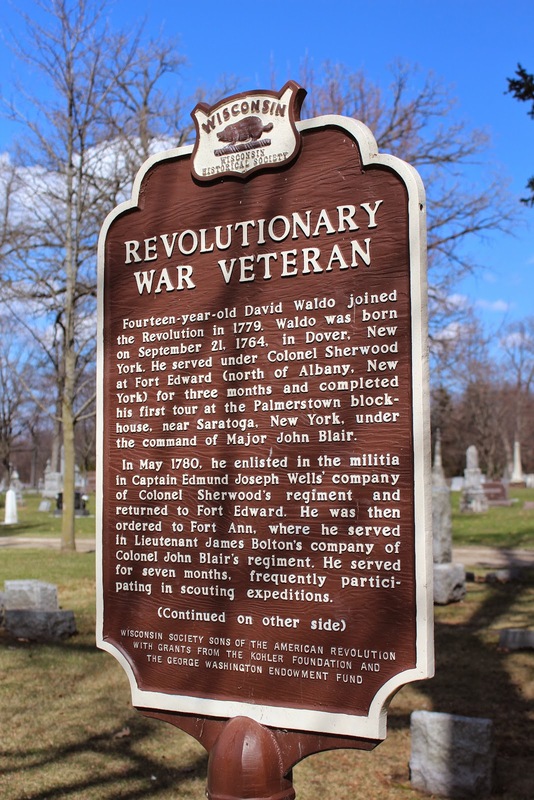 ﻿Fourteen-year-old David Waldo joined the Revolution in 1779. 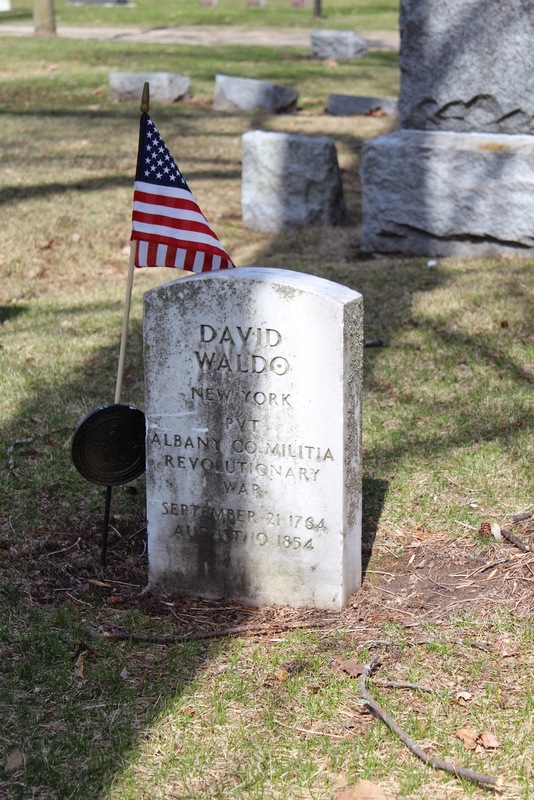 Waldo was born on September 21, 1764, in Dover, New York. He served under Colonel Sherwood at Fort Edward (north of Albany, New York) for three months and completed his first tour at the Palmerstown blockhouse, near Saratoga, New York, under the command of Major John Blair. In May 1780, he enlisted in the militia in Captain Edmund Joseph Wells' company of Colonel Sherwood's regiment and returned to Fort Edward. He was then ordered to Fort Ann, where he served in Lieutenant James Bolton's company of Colonel John Blair's regiment. He served for seven months, frequently participating in scouting expeditions. On his way home from his last tour, Waldo encountered a party of British soldiers who fired on him. The shot hit his horse, which fell on him, paralyzing his legs. The incident forced him to use crutches for the remainder of his life. 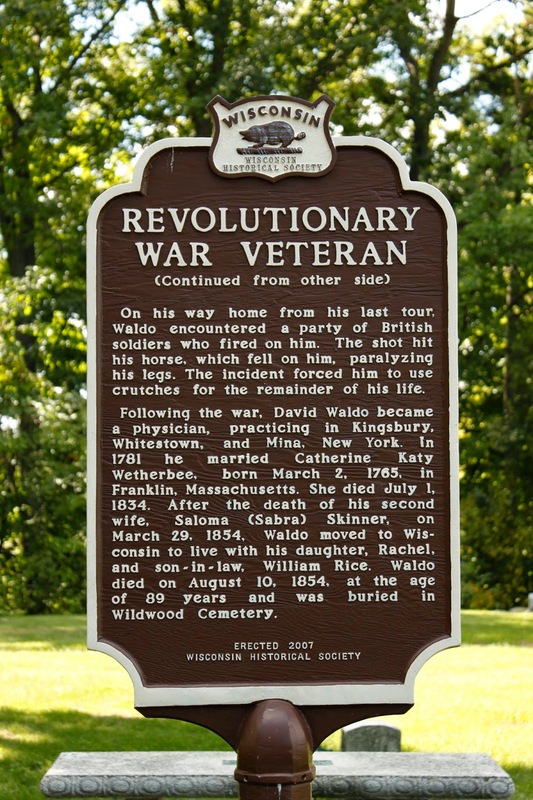 Following the war, David Waldo became a physician, practicing in Kingsbury, Whitestown, and Mina, New York. In 1781 he married Catherine Katy Wetherbee, born March 2, 1765, in Franklin, Massachusetts. She died July 1, 1834. After the death of his second wife, Saloma (Sabra) Skinner, on March 29, 1854, Waldo moved to Wisconsin to live with his daughter, Rachel, and son-in-law, William Rice. 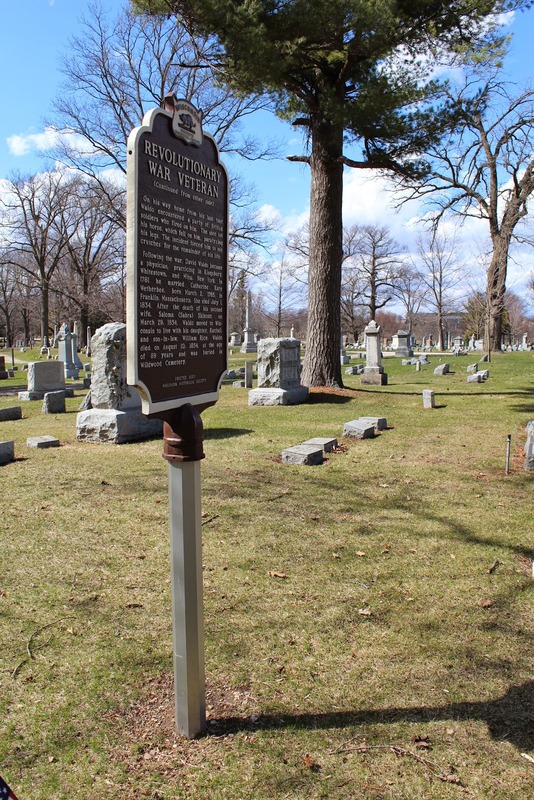 Waldo died on August 10, 1854, at the age of 89 years and was buried in Wildwood Cemetery. 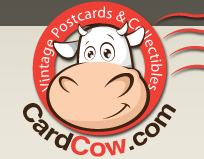 NOTE: This is a two-sided marker (see below). 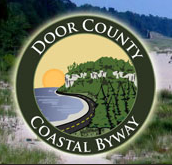 The marker is located Wildwood Cemetery at 2026 New Jersey Avenue, Sheboygan, Wisconsin 53081. NOTE: The entrance to the cemetery is on westbound New Jersey Avenue, just west of its intersection with South 17th Street. The marker is at David Waldo's gravesite at Block 4, Lot 25, Grave 5. The above GPS coordinates will take you to the marker's exact location inside the cemetery. See also, Sheboygan Civil War Memorial, also at this location. Side two of marker (photographed 4/26/2014). The New Jersey Avenue entrance to the cemetery. the marker will be on your right.